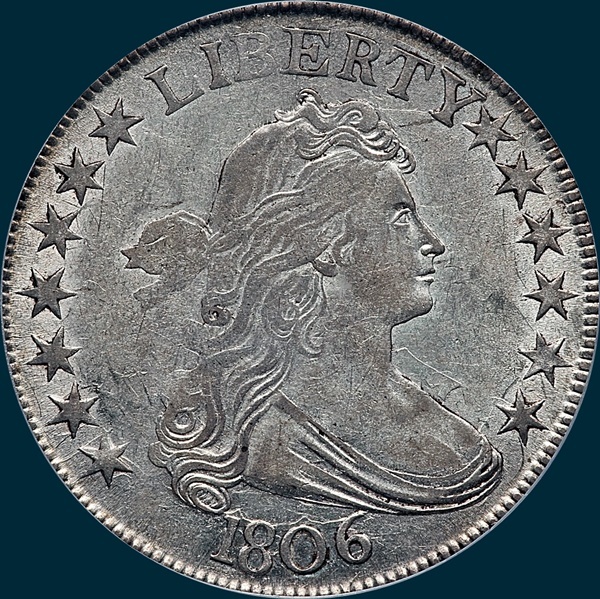 1817 O-101 7 over 3 R2 Capped Bust Half Dollar. 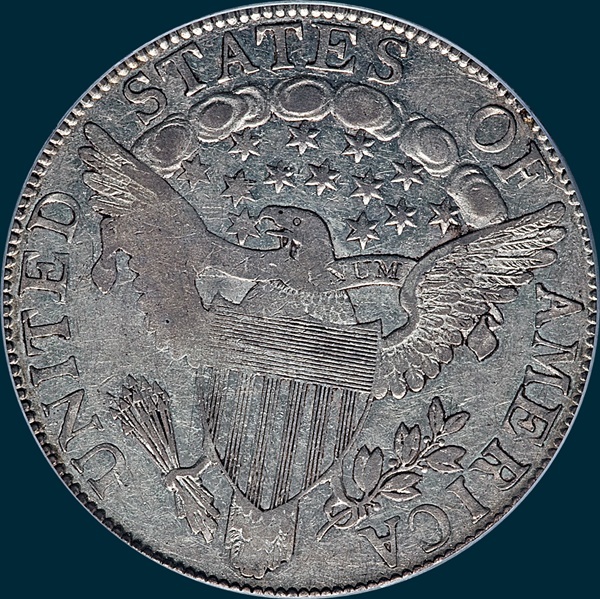 1817 O-102 7 over 4 Capped Bust Half Dollar. The finest is the Meyer specimen at AU53 with most being low grade problem examples. Variety Attribution: Obverse-All stars have sharp points. S7 is 1 mm. from L. Star 8 is only 1/2 mm.from Y and Star 13 is 1/2 mm from bust. Date is a close 7 3/4 mm. and high. 1 and 6 nearly touch curl and bust. Y recut at left side. Reverse-5 berries and all have stems. Lower right base fo F missing. Point of leaf extends between R and I is diagnostic. Star point is attached to front of beak. ME appear to touch with base of M higher. E in UNITED is higher than T.